CARFAX One-Owner. Clean CARFAX. 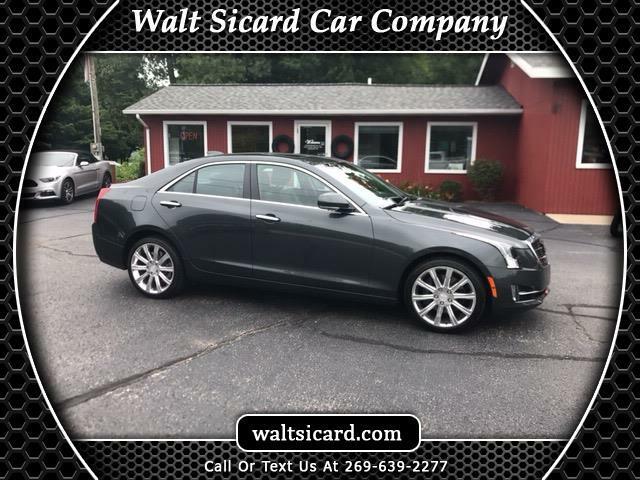 Phantom Gray Metallic 2015 Cadillac ATS 3.6L Premium AWD 6-Speed Automatic 3.6L V6 DI DOHC VVT 2015 Cadillac ATS 3.6L Premium in Phantom Gray Metallic, Sought After Options Include, 4-Wheel Disc Antilock Brembo Fr Performance Brakes, Active Aero Grille, Bluetooth For Phone/Audio, Bose Premium Surround Sound 10-Speaker System, Driver Awareness Package, Forward Collision Alert, Heated Driver & Front Passenger Seats, IntelliBeam Auto High Beam Control Headlamps, Lane Departure Warning & Keep Assist, Navigation System, Premium Equipment Group 1ST, Rainsense Wipers, SiriusXM & HD Audio System, Wireless Charging. Message: Thought you might be interested in this 2015 Cadillac ATS.